This is week 2 and I’ll be discussing Barrier #2 : Industry Patterns do not Support Change. From experience, I know how easy it is to find oneself relying on traditional methods and models simply because “it’s always been done this way”. The problem is that as we become too busy using traditional methods, and can fail to recognise when changes are needed and action is required. Missing this opportunity spells the erosion of profitability and effectiveness. The best example of an interruption to traditional methodologies is Xero. The software’s ability to automate financial reports and produce real time information replaces the traditional approach of manual reporting (that are historical by the time they are produced). This undermines the value placed on accountants producing financial reports, as clients begin to question what they are charged for base compliance services. Please note: I use Xero as an example of disruptive technology, rather than any recommendation of the software. This equals a massive shift in value. Partners should be looking to be freed up from client day-to-day by automation and leveraging their team, they must find ways to continue to deliver value in line with the fees, or pass the savings on to the clients (and reduce profitability on that product). 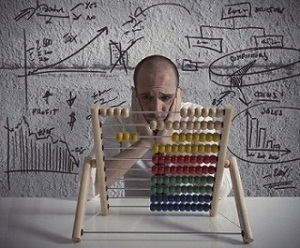 If I was doing my management by numbers product (VAS) now the process would be dramatically different through the introduction of cloud accounting systems and KPI software tools. We did ours by manually extracting the information from client accounting systems and entering it into a comprehensive excel spreadsheet. This sheet took days to put together in the beginning and hours to generate reports each month. Thus I would now need to consistently demonstrate value delivered to clients as opposed to the complexity of producing the information. Overturning previously established industry norms requires a liberal dose of self motivation. As business owners we need to move past fear-based decision making and towards more self motivated activity in order to initiate change, build momentum and follow through when the going gets tough. be willing to trial something more than just once. This means that if we plan to roll out a new VA product, we should roll it out to 10 clients and measure what happens over the 10 scenarios. Did the result/outcomes get delivered? on time? on budget? How much quicker could you deliver the tenth product compared to the first one? How many product examples did it take to start making a profit? This alone, will challenge a traditional mindset. As Accountants we are reluctant to try something when we can’t guarantee a profit on the first go. How much of the delivery did the team do on their own, and when did this start to happen? By following this process you minimise the risk of making decisions based on any one client reaction and can stop you from wanting to return to old ways after encountering a mistake. Are you getting value from this? What was your greatest learning from this? Apart from the result, did you get any unexpected results from the process? The end game is to be better than you are now – change should be seen as a non-negotiable step required to achieve that. Next week I look at Barrier to Change #3 Avoiding Negative Client Reactions. Have you experienced a reluctance to change in your own practice? Where do you notice it? Is it around a process, is it around adopting methodologies, or is it within your people?